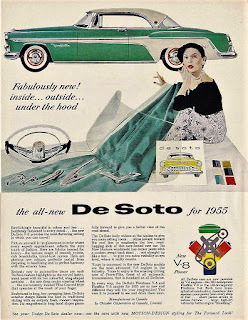 When I think of DeSoto, I always thing of Groucho as they were one of the major sponsors of "You Bet Your Life." Years ago, I had a call from a cousin who had followed my father into the electrical field. He called me about ten years ago and said he had had a call from the union (IBEW) saying that during a renovation of an old housing project, some workers had discovered a wallet of my father's. Somehow it had been dropped in a wall. Probably it was stolen somehow, money removed and then dropped out of sight. Dad's union card was in the wallet and since my cousin also had the name Moore they called him and he identified it as his uncle's. So my dear cousin, who've I've known all my life sent it to me. Nothing of value there beyond sentiment--but a lot of that. 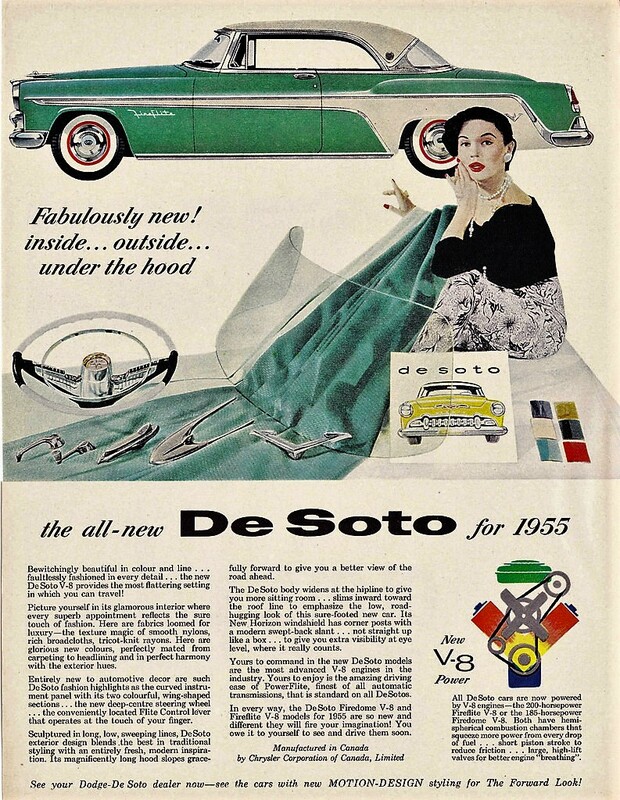 What does that have to do with DeSoto? There was a raffle ticket in that lost billfold for a drawing on a new 1953 DeSoto. Would have been a neat car to grow up with.